Øvrige oplysninger With a wide variety of Pile drivers our Flagship “ PB wood post driver” is the only of its kind in the world. 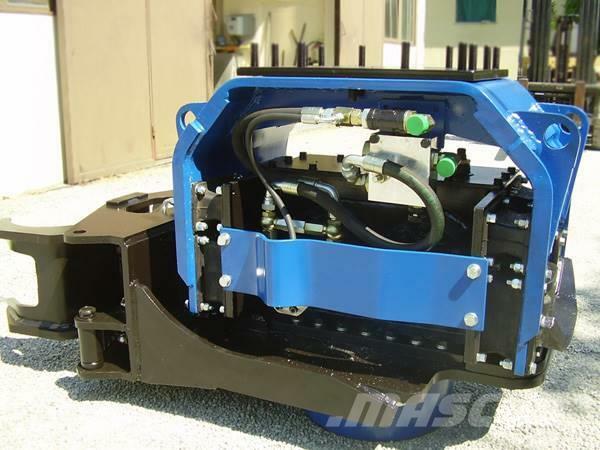 From PB 301- PB 702 our one of a kind hydraulic clamp enables the operator to safely pick the pile up, place it and vibrate it into the ground as well as remove the pile all supplied from the carriers hammer circuit. This all in one pile driver is used for wood, metal pipe piles. På Mascus kan du finde [Other] IAI PB602 hydrauliske pælehammere. Prisen på denne [Other] IAI PB602 er kr. 186.645 og den er produceret i 2016. Denne maskine er placeret i - USA. På Mascus.dk kan du finde [Other] IAI PB602 og andre hydrauliske pælehammere modeller.